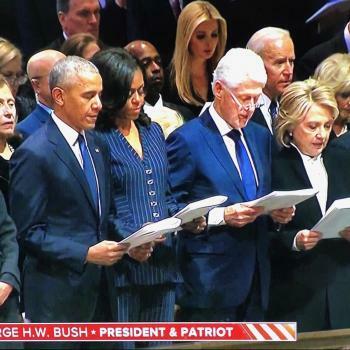 And now, a war on Hanukkah? 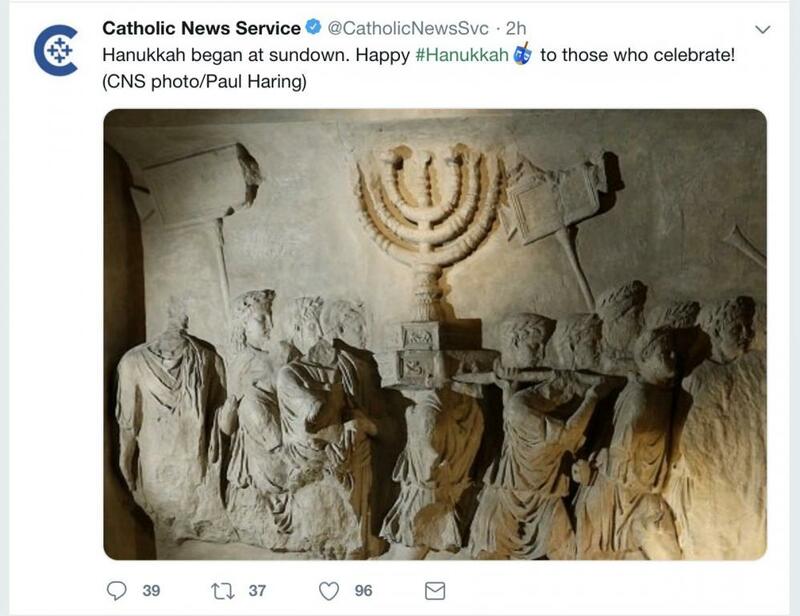 It briefly seemed that way when, the other day, Catholic News Service (CNS) tweeted a holiday greeting to Jews around the world, featuring a photo of an ancient relief that shows a gathering of men hoisting a menorah. It was a nice gesture of interfaith goodwill — except that the image depicts first-century Roman soldiers carrying off Jewish loot after laying waste to Jerusalem in the Great Revolt, also known as the First Jewish-Roman War. 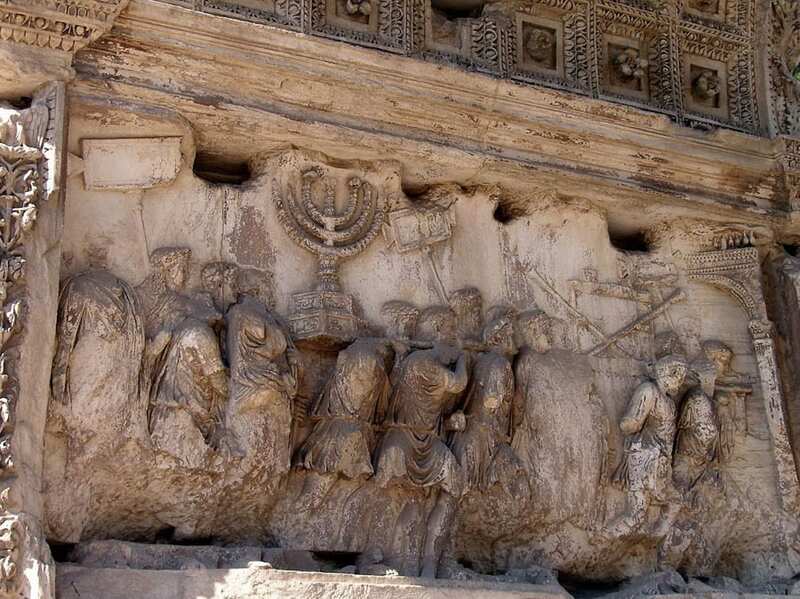 The relief is part of a still-standing famous victory arch in Rome called the Arch of Titus. 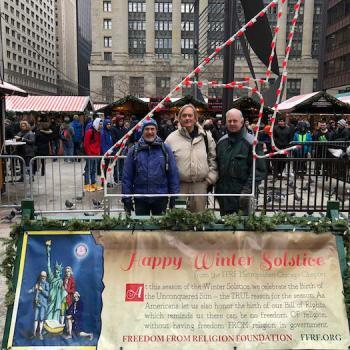 So … was the Hanukkah greeting by the Catholic outfit a nose-thumbing display of glee and Schadenfreude, or a genuine message marred by the well-wishers’ art-historic cluelessness? CNS swears that it’s the latter. It promptly deleted the tweet when critics pointed out how bizarre it was and issued an apology. CNS assured everyone. And that appears to be the end of the accidental hostilities. 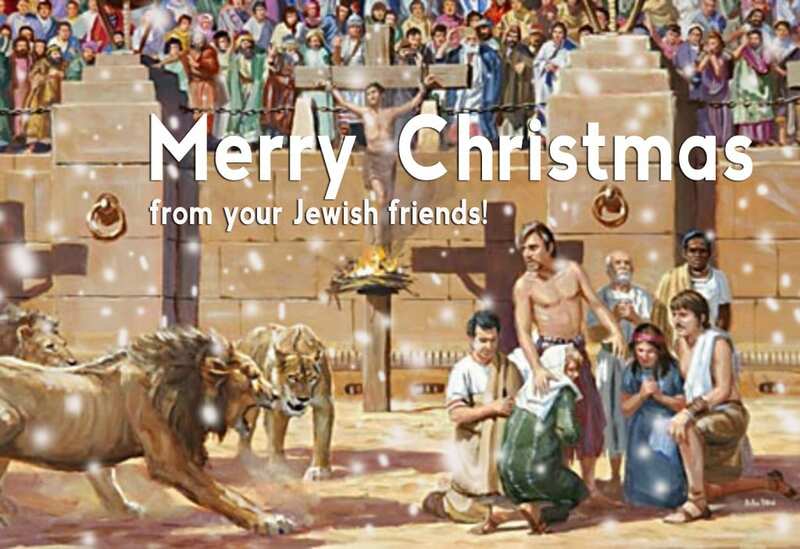 Should Jewish retaliation become necessary after all, I helpfully mocked up this holiday card.